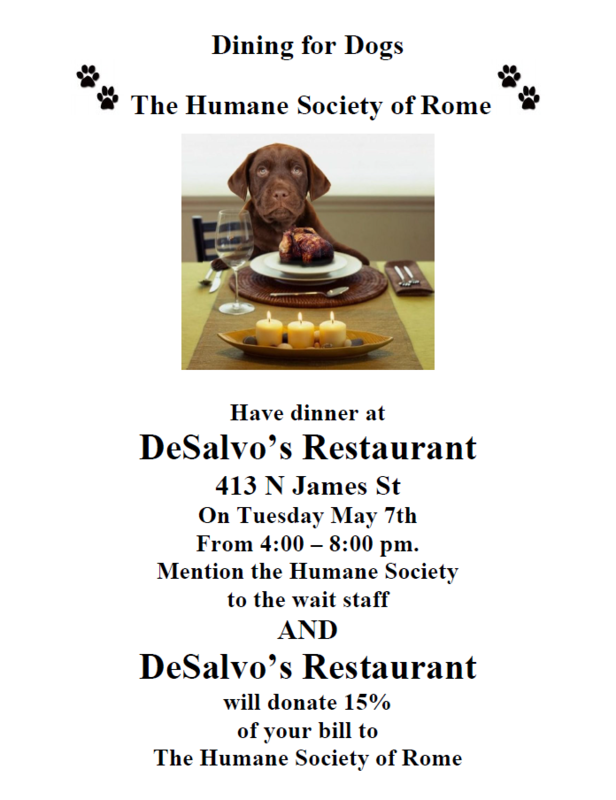 The Humane Society of Rome will be at the Rome EXPO again this year. Please stop by our booth to learn more about our adoptable animals, volunteer opportunities, and how you can help your local shelter! We are also having a Name the Shelter Mascots contest! The Rome EXPO is being held at the JFK Civic Arena at 500 W. Embargo St in Rome. We will be there Saturday April 27th from 10 to 5 and Sunday April 28th from 10 to 4. Hope to see you there!